I recently came across some old photos. 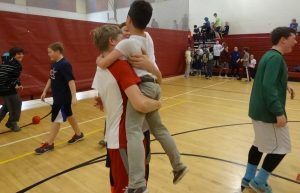 They depict Charley in fifth grade winning a dodge ball tournament. Yes, you got that right. As you likely know by now, Duchenne muscular dystrophy means you can’t play sports like most other kids your age. The disease weakens muscles, which makes running, throwing, even walking difficult and then impossible. And the only treatment that’s proven to slow loss of muscle function (daily steroids) wreaks havoc on bones, making them extremely brittle and prone to fractures. So… dodge ball? What were we thinking? The pictures trigger a crystal clear memory of that day back when Charley was in middle school. 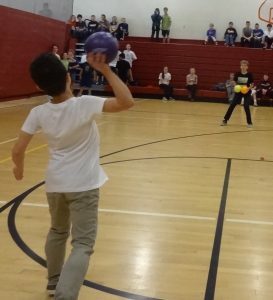 When I found out there was a dodge ball tournament to raise money for the student council, I strategically planned a dental checkup for Charley so he would conveniently miss the fundraiser. Meanwhile, unbeknownst to me, he formed a team with some friends and registered to play. As you can tell from the photos, their strategy was ingenious. Charley just turned 18; he’s now a senior in high school. 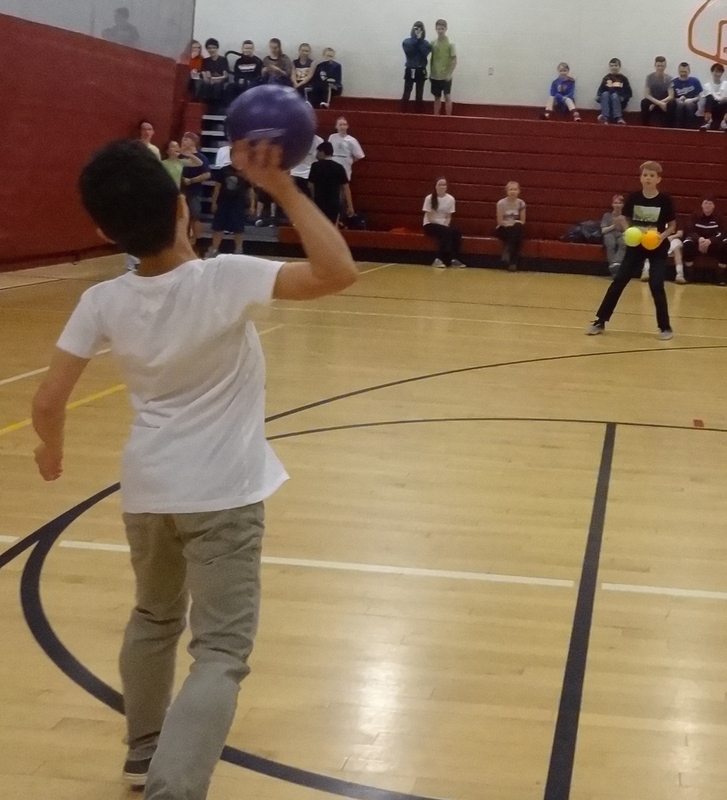 So why write about a dodge ball tournament from seven years ago? 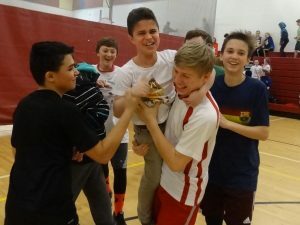 Those photos deeply affected me – the joy on Charley’s face, the sheer happiness of his friends surrounding him with love, the beautiful absurdity of a physically disabled, fragile child winning a dodge ball tournament. They just made me feel so good. So I looked at them for a long time. At 18 years old, Charley most definitely cannot play dodge ball anymore, no matter how ingenious of a strategy his friends may invent. In fact, he can’t even work at the coffee shop at this point, even with generous accommodations from his coworkers and boss — repeatedly getting up from the stool to serve coffee has become too demanding on his weakening muscles. There’s no way around the fact that this physical deterioration is enormously sad. Charley’s “formula” doesn’t solve the problem by changing his reality or by making the sadness that inevitably comes with it disappear. But it renders that sadness less powerful, puts it in its proper place. 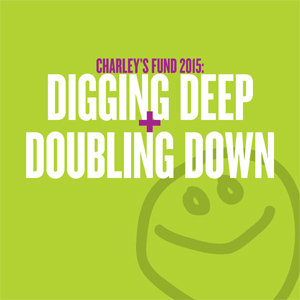 I’ve often thought that if I could bottle up Charley’s attitude and sell it, we’d have enough money to cure DMD ten times over and help make a lot of people happier along the way. Obviously I can’t do that, so instead I’m doing the closest thing I can: Observing, reflecting, and sharing. Hope it helps!